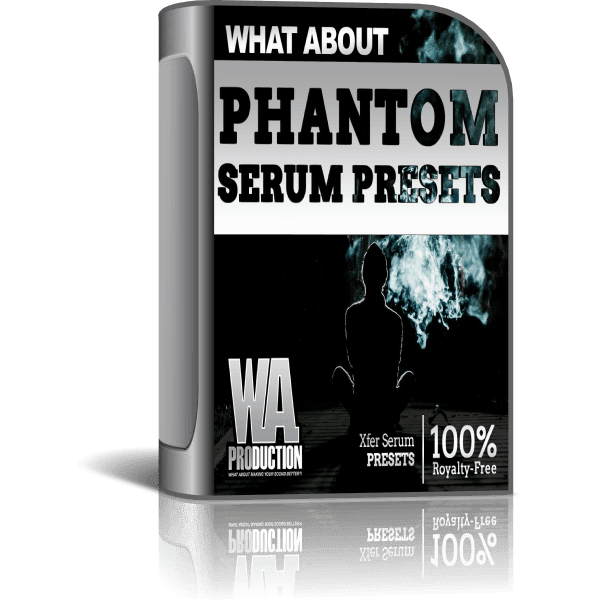 Unleash Xfer Serum with What аbout: Phantom Serum Presets. This pack consists of 233 presets for Xfer Serum by W. A. Production. Are you ready to experience Serum? Forget what you know, and get ready to hear something inspiring. With the rise of EDM and dance music in commercial media these presets are modern and without repetition. What аbout: Phantom Serum Presets is inspired by top influential genres such as Melodic Dubstep, Trap, D&B, House, and Future Bass. We know that Serum offers an infinite number of combinations to create a desirable sound. Let our professional sound designers, that specialize in the functionality of Serum, blow your mind with this brilliant collection. Utilize our presets as a learning tool, a means of inspiration, or to build off of to create your own customized sound. Are you ready to unleash the power of Serum? 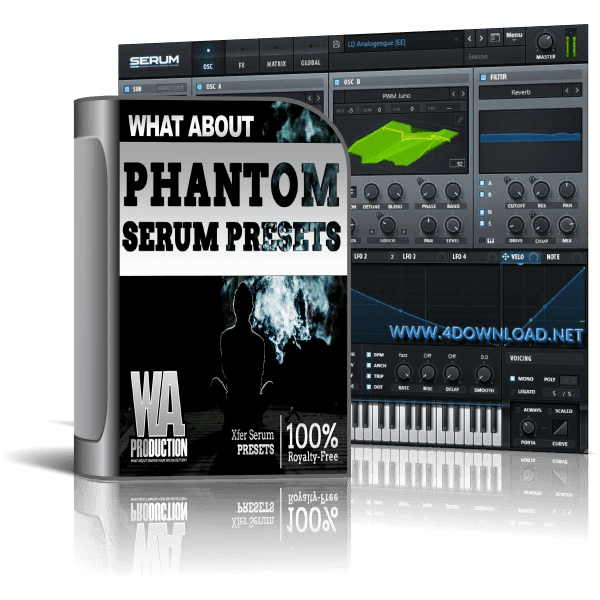 Pick up What аbout: Phantom Serum Presets today.